Carl Shoupe and Terry Thomas experienced the boom and bust of the coal industry on different continents in the late twentieth century. In the fall of 2012, former union leader Thomas traveled nearly 4,000 miles from the South Wales coalfields to “Bloody Harlan”, Kentucky. As Shoupe and Thomas walked through the town of Benham, Kentucky, they let their conversation wander like the curving roads of Appalachia. Their conversation continued a cultural exchange spanning decades — from the bitter mine strikes of the 1970’s to a period of uncertain transition on both sides of the Atlantic. 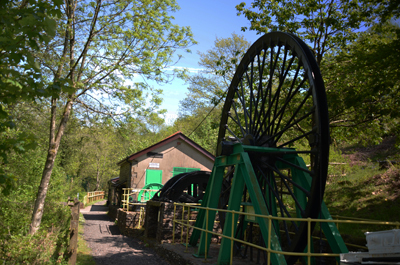 The discussion circled back to the need for community- based regeneration in coalfields. 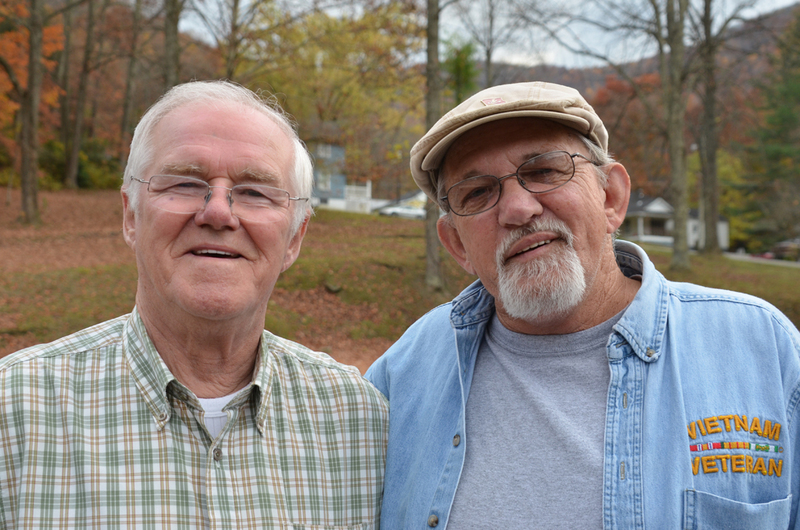 Terry Thomas of Wales and Carl Shoupe of Kentucky meet in Appalachia, 2012. Shoupe: You’re in what they call Harlan County, Kentucky. This is one of the ground fights…for the union. Its literally called “Bloody Harlan”…they had a union organizing drive going on here at the little town of Benham. The UMWA [United Mine Workers of America] organizers came in like a convoy, had a bunch of cars, and the company guards had a machine gun set up in the top of that commissary down there. Most of Harlan County’s coal mines had a union presence, with violent clashes spanning decades. Thomas’ work in Wales was similarly embedded in the union struggle for fair wages and safe working conditions. Thomas: The labour government was elected in 1974 during the miner’s strike, and the miners did win that strike, and they gained a great deal. But it was only temporary, because when Thatcher got elected in 1979, she was preparing all the time to really destroy the miners. In 1984 the miners would come out on strike because of what Thatcher was doing to the coal industry. We were on strike for a whole 12 months. In the aftermath of the 1984 strike, the coal industry was privatized and the South Wales coalfields experienced devastating job loss with closure of collieries. However, this was not the only challenge for the once humming valleys. Thomas: The latest crisis, the latest economic crisis, is a financial crisis caused by the bankers, caused by greed of the bankers. But who’s paying the price for that again? It is people in communities such as this paying the price..for the depression that was caused by the banks. Shoupe: It’s all about the laboring class of people and we’re the ones that get left. Thomas: The only thing that our people want is a good job to go to and be paid a fair wage for that job. They don’t ask for much, just enough to raise their families. They don’t want millions. Just enough to keep them from day to day, happy and healthy, and that’s not much to ask for in this world. Thomas: If I tell you this, after the 1984-85 miner strike. We in Britain, we lost 85,000 mining jobs. At one time, I’m going back in history, back in 1919 there were almost a quarter of a million miners working in South Wales alone. Now as we’re talking now, we’ve got about 600. Across the ocean, tiny Benham was home to over 10,000 people during the coal boom. In 2012, only 800 people remain. Yet projects like the conversion of the old high school into an inn, the refurbishing of the movie theater, and celebration of mining history through tours of Portal 31 coal mine in nearby Lynch demonstrate local residents’ hope for the future. Wales has explored similar regeneration, forced to begin a few decades ahead of Appalachia. In Wales, only about 600 mining jobs remain, and communities struggle as they adjust to the new economy. Mining museums and efforts at tourism provide service industry jobs where industrial work once reigned. Back on the sleepy streets of Benham, Shoupe worries about the survival of his town. Both men grapple with the lingering threads of an industry in decline. 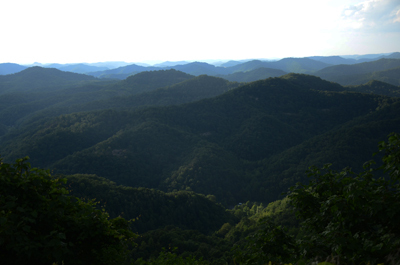 In the aftermath of deep mining in Appalachia, surface mines and mountain top removal threaten landscapes and water sources, while employing fewer and fewer people. Thomas: You talk about that mountain over there now. If the coal company comes in, takes the top of that mountain off, once they’ve got what they want they’ll be gone. They will forget about the community. That has been what we’ve seen in the past. They come in, they take out what they want and go, and leave the people in the community behind. What we have to do is to make sure that whatever happens in the community is done with the community needs in mind. We have to find a way of doing that. Shoupe: It’s universal, but these kids, nowadays Terry, they might have to, I hope not, they might have to learn the old hard way. Thomas: They’re going to have to learn to fight, not in the same way maybe as we had to do it. There are different ways to do it, but they’re going to have to learn to fight for their communities. Shoupe: It’s all about organization and standing together, you know? United we stand, you know? That’s true, that’s so true. Carl Shoupe hails from Lynch, Kentucky, a company coal town in Harlan County. “You went in and mined the coal and they paid you a wage, but that wage just kept circling around, circling around. You didn’t get anything.” If the cycle of coal production didn’t suit you, there weren’t many other options. The towns in these eastern Kentucky valleys were built on the bedrock of industrial coal. Terry Thomas is a former miner from the South Wales coalfields. “I first went in [to the mines] in 1960. I went underground to work in Wales, almost from the start of my time there I became involved in the miner’s union. I became the branch sector of the local mine.” Thomas went on to become the Vice President of the Union in Wales, coordinating strikes and negotiations until the end of the bitter 1984-1985 strike.